Wasn’t much further conversation today, lets throw the options out there and let everyone determine. We can still keep this discussion open until the end of the voting period (voting lasts one week, from Aug 21 2012, 23:00 to Aug 28 23:00 CST). This is actually a really complicated vote because the proposed change has a number of different options… So, it is my belief that we present it thus (and sort out the counts later). If you have any questions, please let them be known. A: No Change – 15 on 15, 10 minute Clock, first team to score a point wins the Match. Rule 3.1.4.3 remains unchanged. B: Alternative with internal options. The only option that was unopposed was a permanent 10 second shot clock for both teams. If your team chooses option A, you are done. Submit your vote via the ncdadodgeball@gmail.com email. If your team chooses option B, please proceed to step 2. C: Maximum of 6 on 6, no more than 6 players may be on a side for the point. D: 6 on 6 to start Overtime, but the remaining 9 players may line up in the Jail and enter play via a Catch. G: No set time limit, first team to eliminate the other team wins. H: 10 minute time limit, Rule 3.1.4.3.2 remains as is to decide a victor by count of remaining players. Quorum is officially achieved with 14 member teams of the 25 teams agreeing to establish a vote regarding rules on Overtime. At least one week of discussion shall ensue (until Aug 21), with a narrowing down of vote options. Check out the forum to voice your opinion. 25 Member Teams, 13 Members required to achieve Quorum. End of call is 15 Aug 2012 17:16 CST or whenever Quorum is achieved, whichever comes first. It should be noted that no team submitted a disagreement with changing the Rules. 5. At least one week of discussion ensues, with a narrowing down of vote options. 6. After a week of discussion, the final vote options are gathered and distributed to the teams using reasonable communication efforts. 7. Duration of the vote is one week. A maximum of 6 on 6, of any player on the full 20 player roster; 7 balls, arranged for an Opening Rush of 02320 with balls live on the whistle; a permanent 10 second shot clock for both teams. Sam Hiller of MSU requested a Quorum be called, relating to changing the NCDA rules regarding Overtime. The forum thread on it has some talk regarding specific options. What is required of the member teams is a vote to change anything at all. 1. A Captain of a Member Team brings up a change, discussion ensues. 2. The change is seconded by another Member Team, discussion ensues. 4. If a majority of the voting members agree to a vote, voting Quorum is achieved. If a majority do not agree, the issue is dropped and may be brought up at a later time. 5. Should voting Quorum be achieved, at least one week of discussion ensues, with a narrowing down of vote options. Let me know if that seems fair or unfair. It’s similar to how we did the Opening Rush change. Please email regarding whether your team agrees to vote or does not agree to vote. We have one week to achieve a quorum, then one week of discussion, then a week of voting. DePaul and Moody takes us through a joyous jaunt to wrap up the summer in this short podcast. Not much going on, but oodles of entertainment and a few tidbits on the next hosts of AJP. Hosts: Spencer Flynn, Zigmas Maloni, Becky Seemann, Rachel Joyce, Anthony Netzel, and Jeremy Schambach from Moody. MACOMB, IL – An emerging club sport at Western Illinois University is training its members to avoid being struck by a 76 mph rubber fastball. Western’s club dodgeball team will try for its first-ever national collegiate title during a tournament in Saginaw, MI, Saturday-Sunday, April 14-15. Sixteen teams from across the country will compete in pool play April 14 to be ranked for the single-elimination championship matches April 15. This is the third year the Western dodgeball team has played in the National College Dodgeball Association tournament, finishing fourth each of the first two years. The team has about 25 members, 15 of which will travel to the Michigan tournament. The club was founded by WIU senior Tim Wohead, of Plainfield, who is also the club’s former president. Club President Dalton Servatius, a junior from Lombard, joined the club after seeing the team practice in the Donald R. Spencer Student Recreation Center. Western’s team has lost to Michigan State University during both of its previous national tourney efforts. The goal of the games is to strike the opposing teams’ players with a large rubber ball. The tournament games consist of two 25-minute sessions. To follow the WIU team’s weekend progress, visit facebook.com/groups/152010705468/. For their stellar play at Nationals 2012, this is the All-Nationals Team. We couldn’t choose! Spencer and Lindsay brought us Nationals 2012 hosted at SVSU. This this picture, you can see thier two key trophy wins of this season: the Michigan Dodgeball Cup and Nationals 2012. 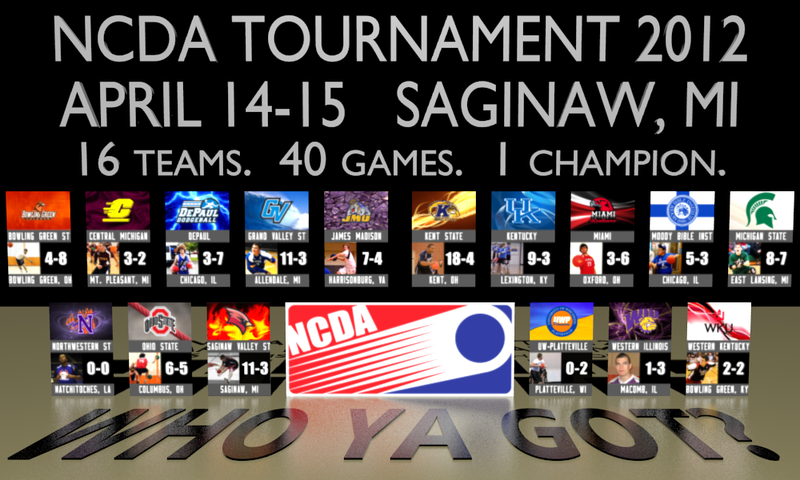 The dodgeball world will all come to Saginaw, MI, on April 14th and 15th, as Nationals 2012 will decide the new NCDA National Champion. There are 16 schools going, including #1 ranked Kent State, last season’s champions Central Michigan, and host school Saginaw Valley. With four pools set up on Saturday, the Sunday single-elimination bracket will be based on 80% of the points accumulated on Saturday and 20% of the points accumulated during the regular season. There will also be an All-Star Game, and an All-Girls game. Pool A features the dodgeball powerhouse Grand Valley State, along with two dodgeball mainstays in Depaul and Bowling Green and relative newcomer Northwestern State. Northwestern State has not played a match since Nationals 2011, where they went 0-4. Depaul, known as the jesters of the NCDA, is 3-7 this season, beating Eastern Michigan, Western Illinois, and Nebraska. Always in it for the fun of the game, Depaul will enjoy their pool. Bowling Green has had an up and down season, going 4-8. They started off the season 0-5, but finished out 4-3, including wins over Kentucky and Ohio State. They could be a sleeper team to make a run on Sunday. Grand Valley State finished the season ranked #2 in the country, but they have to make up for a disappointing finish at the Michigan Dodgeball Cup, where they lost to both CMU and SVSU. They’re one of the most deadly teams in the league, and anything less than a title will be considered a disappointment. Pool B includes host school SVSU, Kentucky, Ohio State, and Western Illinois. This may be the the most competitive group, as all four teams were in the quarterfinals of the 2011 National Tournament. Ohio State and SVSU have had some disagreements in the past, so that match is one to watch. The Buckeyes are known as a great catching team, and they could pull off an upset over a higher ranked team. Western Illinois had a down year, but they’re still a good team that can hang with anyone. Kentucky finished the season in the top 4, and feature the hardest thrower in the league. However, the Cardinals should be the favorite for this pool, as their tremendous talent and home court advantage will combine to make them a hard out in the tournament. Pool C has a mix of classic teams and a new blood- James Madison. The Dukes made a lot of noise their first season going 7-3-1 and finishing in sixth place. Among the classic teams are Wisconsin-Platteville, Miami, and Michigan State. UWP played only two games, but they are usually a solid team at Nationals. Miami played 9 games this season, and two of those were forfeit wins, but they have a good foundation and won two games at Nationals last season. The Spartans are among the dodgeball elite, but they had a lackluster appearance their last time out at the Michigan Dodgeball Cup. Pool D has this year’s #1 team in Kent State, and last year’s National Champion in Central Michigan, to go along with Moody Bible and Western Kentucky. All four of these schools have the capability to go deep into the tournament, and this could be the toughest pool to predict. Kent State set a record for most games played, but they lost their games to the three Michigan teams they played. Central Michigan played only five games all season, coming out 3-2, but they may have the most talent in the league. Western Kentucky didn’t play an out of state team all season, finishing 2-2, but they’ve shown in the past that they’re a powerhouse. And Moody Bible is always a tough team to play with their talent and smart play. This year’s Nationals could be the deepest one yet, and every team is capable of making a run in the tournament. Whoever comes out on top will certainly have earned their way to the title, and its looking like it could be a great tournament. 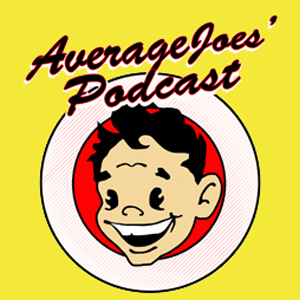 …DePaul hosts the Average Joes’ Podcast. The upcoming Nationals, bids for Nationals 2013, final season rankings, some injures, rule changes, ball sponsorships, and general fun. Is this the year? A question the Cardinals have asked themselves many times in past years, but never has a Saginaw team had the opportunity that they will have on March 17th. With a win they will secure themselves a second place finish in the NCDA after already securing the #1 overall seed in Michigan with huge wins at the Michigan Dodgeball Cup. With an 11-2 record this year the Cardinals are looking to even the season series up with the 10-2 Lakers, who handed the Cardinals their only loss’s of the season. The first match up taking place in Bowling Green where the Lakers shellacked the Cardinals 5-0 then defeated Saginaw 2-1 in Grand Rapids a month later during the annual Battle Of the Valleys match up. After months of not seeing each other the Cardinals and Lakers clashed again at East Lansing in February for the Michigan Dodgeball Cup. SVSU was coming in with a notorious reputation for collapsing at the MDC, with just a handful of wins earned in the past few years. This year matched up with GVSU in the first round the Cardinals seemed like they where headed towards another disappointing MDC after dropping the first point and almost giving up another one at half. After regrouping at half time SVSU battled back to grab a point from GVSU. The Lakers would not go down easy as they roared back with a strong showing almost stealing a point with seconds left as SVSU’s Josh Brettrager held off 6 Lakers to send the game into overtime. In the OT the Lakers again jumped out to an early lead but timely kills and clutch catching by Jason Stein and Spencer Jardine brought the Cardinals to victory. SVSU would go on to defeat CMU 2-1 and MSU 3-2 to lift the Michigan Dodgeball Cup for the first time in program history. With this match in Saginaw’s Cardinal Gym the Lakers won’t be in unfamiliar territory with the number of times they have traveled to SVSU, however one can never be prepared for Saginaw’s 16th man in the stands. With out a doubt the most hostile environments in the the NCDA the Lakers players will have to deal with a home crowd on St Patty’s day that is just as hungry for a win over the Lakers as the players, and there isn’t a student at Saginaw that won’t instantly hate anything in a blue jersey that weekend. They key to this game will be how the unseasoned players of GVSU handle the vocal crowd of Saginaw, and if GVSU has improved on their game closing abilities. For Saginaw the plan remains the same, look to continue to dominate in the catching department and pick up key kills in the neutral zone while keeping their catches against numbers low. Fans and players should expect this to be a real barn burner with a single point as the likely deciding factor in this match. The Grand Valley State University Lakers will travel to Saginaw Valley on St. Patrick’s Day to add another chapter to the fiercest rivalry in the NCDA. This game has a lot riding on the line, as the winner will take over the #2 ranking in the nation, as well as the top spot in the MI region. 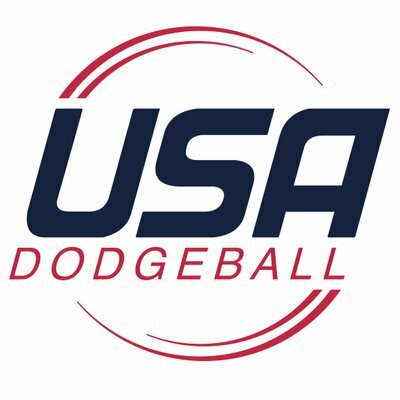 The Lakers (10-1-1) are coming off a very frustrating showing at the Michigan Dodgeball Cup where for the first time in program history they lost multiple games at the MDC. The toughest of those losses being a 2-1 OT loss to SVSU in a back and forth game. The Cardinals came rip roaring out of the gate to take the 1st point then held off the Lakers surge before half, taking that 1-0 lead to half. The Lakers fought back after halftime winning the 1st point in the half and controlling the game for about 20 min of the 2nd half. One Cardinal player was able to hold out for about 5 min alone and force overtime. GVSU took a small lead in overtime to see the game slip away as SVSU came up with very timely kills and catches. Win or lose this match up at SVSU will be important for the less experienced Lakers as they need to know what it is like playing at SVSU before the National tournament in April. SVSU has the loudest fans in the NCDA and those fans will be peppering the Lakers all game long. The Lakers will look to get back on track with the veterans on the roster playing a big part in what they like to do. GVSU was not happy with some of the performances they showed at the MDC and come back looking for a small taste of revenge. After they had to watch SVSU hoist the MDC trophy for they first time in their club history. The keys for the Lakers in this game will be simple they have to do a better job of moving their heads in the neutral zone as to not get pick off by cross throws, and the major issue being when they get SVSU on the ropes they need to finish the job to take home the W.
GVSU comes into this game as a rear underdog, having to rebound off the poor showing at the MDC, to play a very hot SVSU team with their crowd behind them. The most hostile environment in the NCDA really will get up for the game against GVSU as the Lakers will be hated simply because they are wearing blue. The Lakers look to give the SVSU faithful a real reason to hate them as they look to win what will be another close game between GVSU and SVSU. The 2012 Michigan Dodgeball Cup may be the most loaded field in the history of the tournament. Typically the second biggest tournament of the season for Michigan schools, the MDC has six schools for 2012, including the top three teams in the nation and the defending national champions. Last season’s defending MDC champion Grand Valley State are off to a 8-0 start in the early season, with a point differential of 36 points through those 8 games. Last season’s National runner up, GVSU is ranked #1 after going 3-0 at the Chicago Dodgeball Open, and are led by captain Mark Trippiedi. The Lakers have a strong team and could very well be the favorite to win both the MDC and Nationals this season. The Lakers open their tournament with a match against CMU in a matchup of the last two National and MDC champions. The #2 ranked team in the country, Saginaw Valley, is heading strong into Nationals with an 8-2 record, with their only losses coming to GVSU. They also went 3-0 at the Chicago Dodgeball Open, knocking off DePaul, Moody, and Nebraska. Their captain, Spencer Jardine, is one of the best all-around players in the country and they’ve played consistently well for the past few seasons, but could this be the season they make the leap to being an elite program and winning either the MDC or Nationals? The host school, #3 Michigan State, is wondering the same question. This year they’ve beaten both of their Big Ten rivals in Ohio State and Nebraska, and have posted 48 points in 11 games, the most points scored this season by any team to this point. However, the Spartans have still yet to beat GVSU, and haven’t beaten CMU in 4 years. Captain Sam Hiller is hoping to make a statement and beat those two schools and turn the State program into a National title contender. 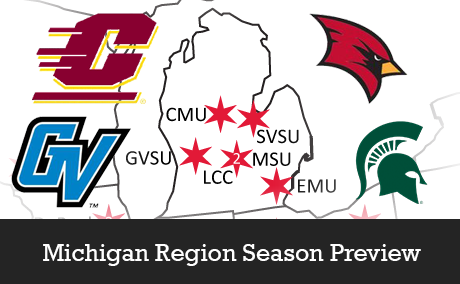 The Spartans will go up against local rival LCC and will also face Saginaw Valley. Defending National Champion Central Michigan has only played one game all season (a 2-1 loss at SVSU) but they’re still one of the favorites for the title. Featuring a bunch of cannon arms to go along with some solid catchers, the #19 Chippewas want to win a second Michigan Dodgeball Cup title. Possibly the deepest team in terms of talent, and having some of the best all around players in the league like Bryce Corrion and Eric Sweet, the Chips are going to have to fight off some tough competition and are no longer the hunters, but the hunted. After making their first MDC appearance last year, the Lansing Community College Silver Stars are hoping to pick up their first win in the history of the program. They have some elite players at the top, featuring captain Kevin Nguyen, but their depth is an issue. They’re playing their first games of the season in the tournament, so it will be interesting to see if they have any cohesion and teamwork, but their top six players can go toe to toe with anyone else’s top six any day. #14 Eastern Michigan has had a turbulent season. They’ve played in just one tournament, the MSU Invite, where they dropped all four games they played. They’ve only scored three points in four games, and they’ve had a leadership change. However, the Eagles are still a dangerous team and could possibly sneak up on a team at the MDC and take them down. There’s plenty to like from this team, and they could possibly win their first game this season at the MDC. 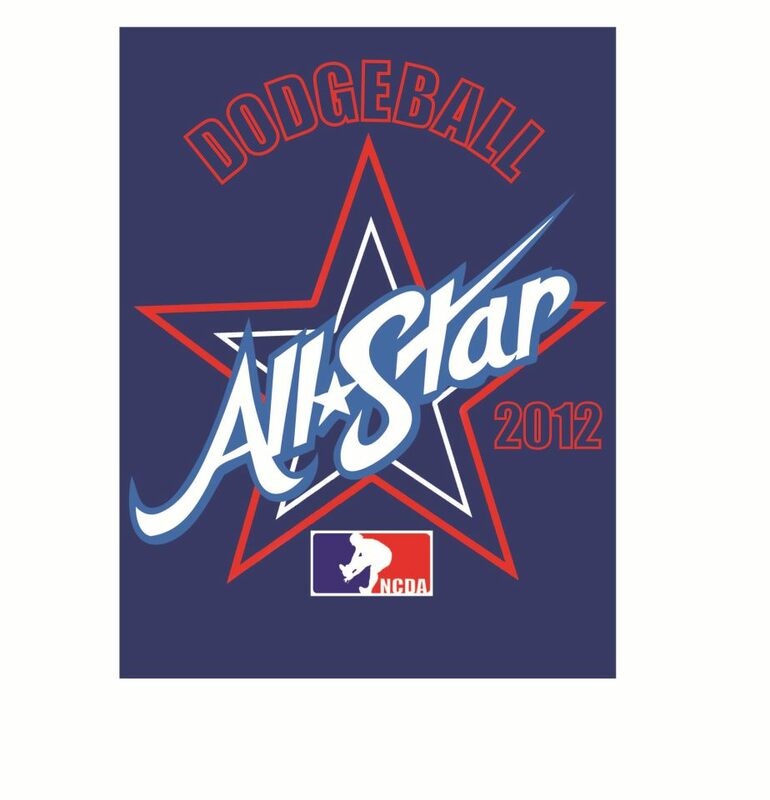 The 2012 Michigan Dodgeball Cup will be an absolute battle for the title, as the top teams in the nation will be in attendance and there will certainly be a number of great matches.